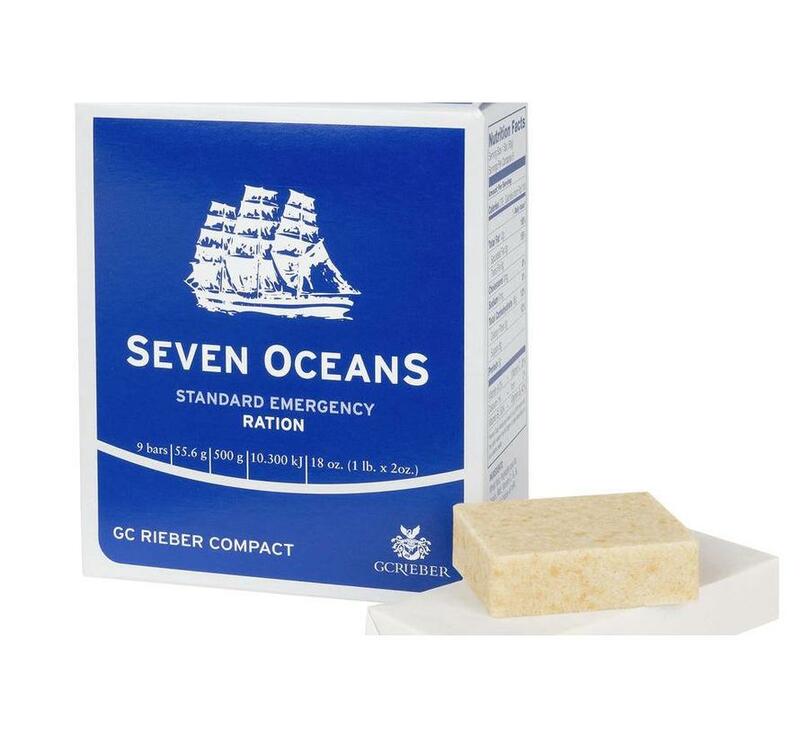 The emergency rations from Seven Oceans are made of wheat. The wheat, together with some sugar and vegetable fats, is compressed into a thin, tasty and very nutritious bar. Because of this method of production, a box of 9 bars contains the daily required 2500 calories. 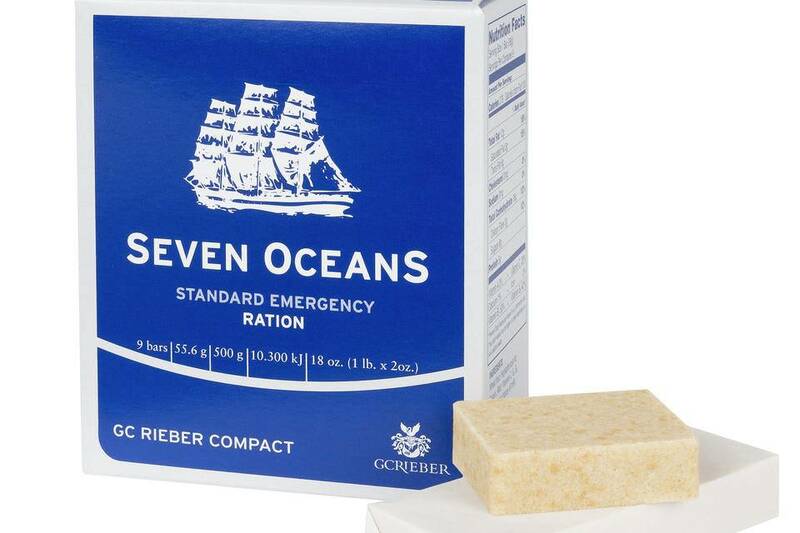 The makers of the emergency ration guarantee the taste of the product up to 5 years after production, but after these five years, the taste can decrease but the product remains edible for a long time.